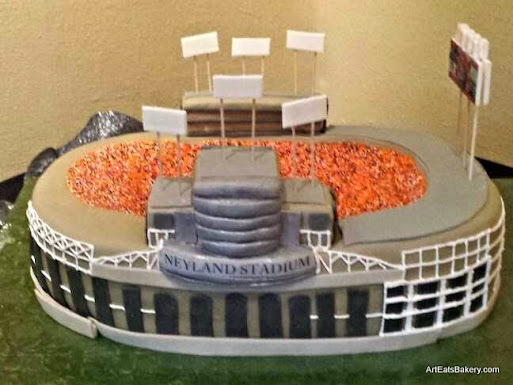 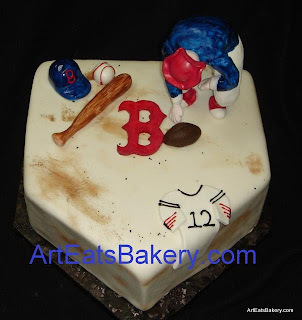 These are specialized cakes designed after your favorite sports and teams. 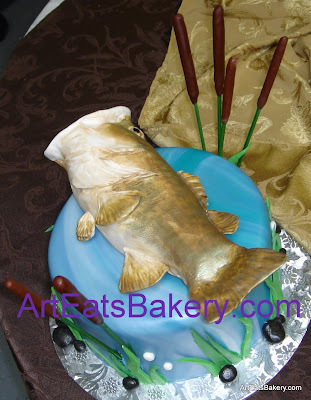 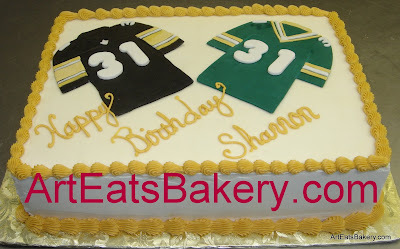 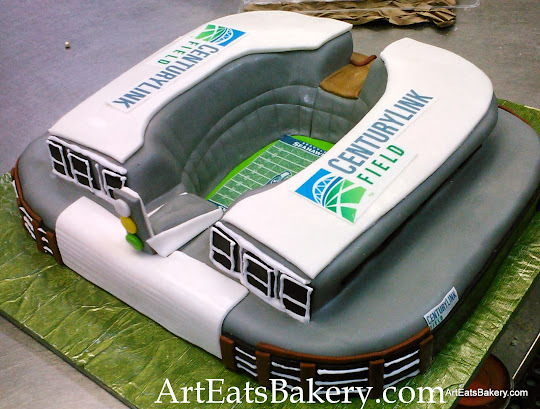 We do tons of football, soccer, basketball, boxing, fishing and golfing cakes. 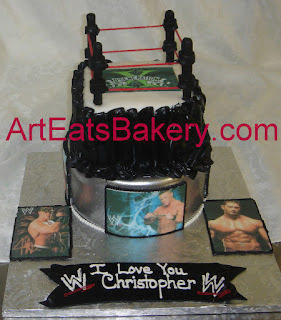 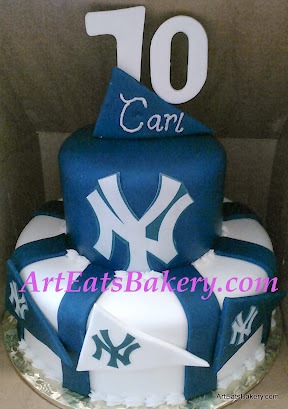 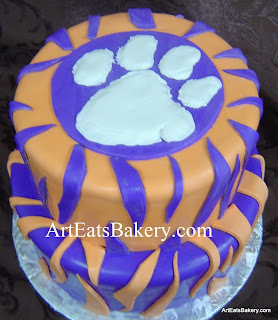 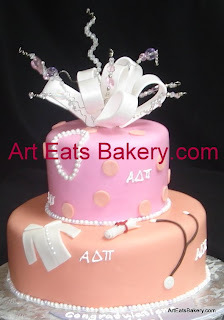 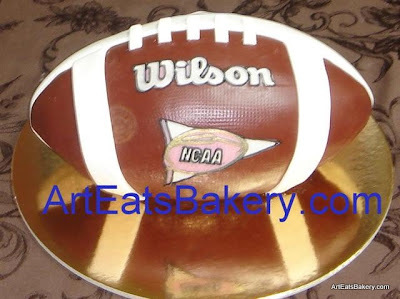 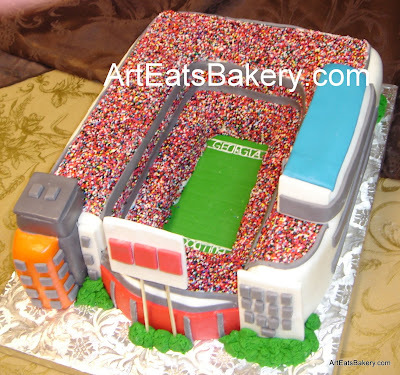 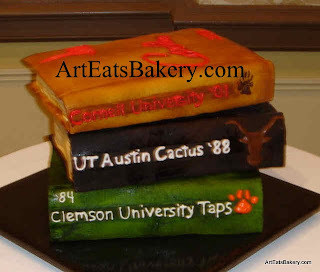 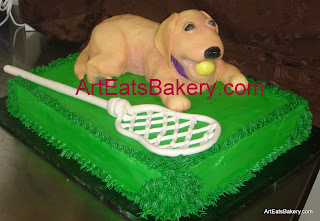 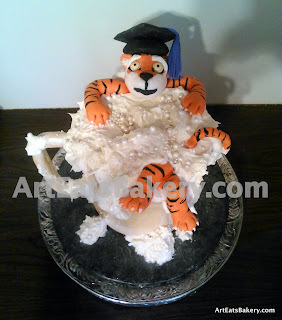 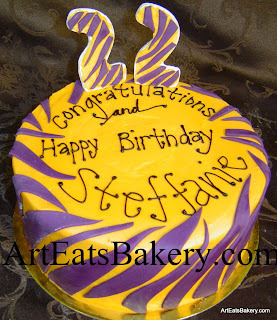 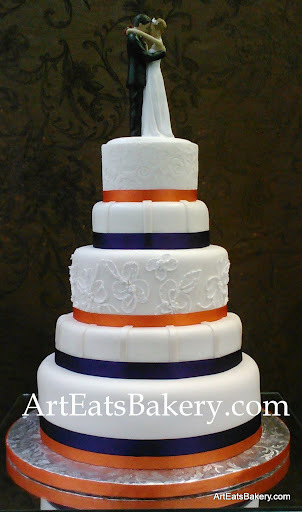 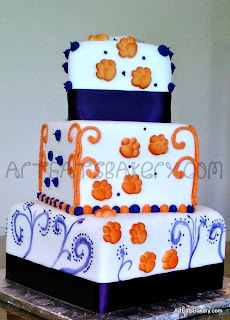 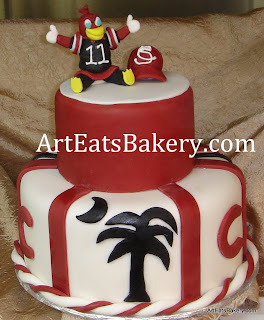 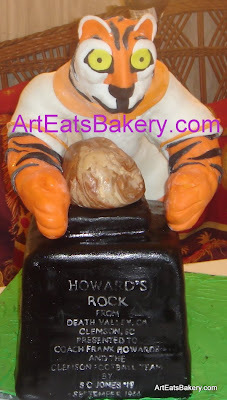 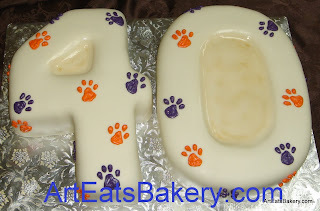 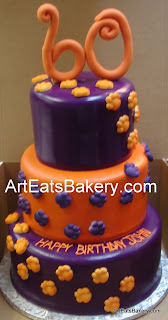 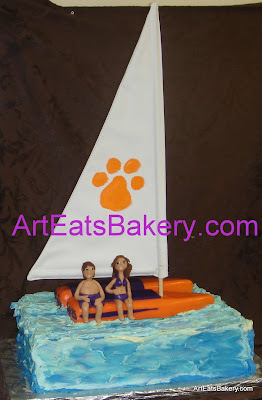 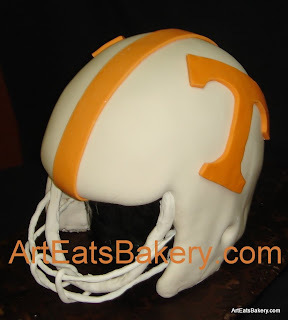 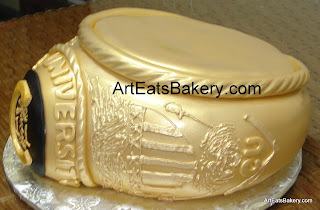 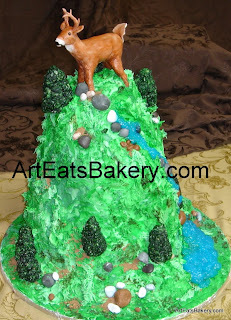 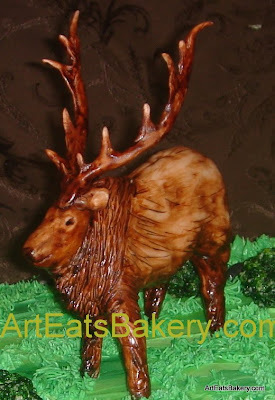 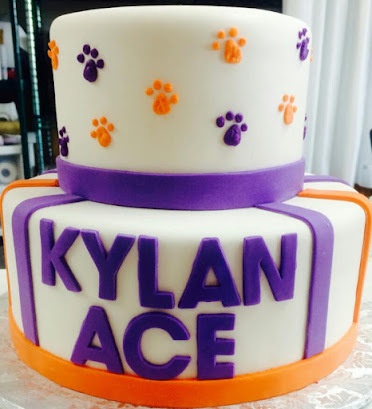 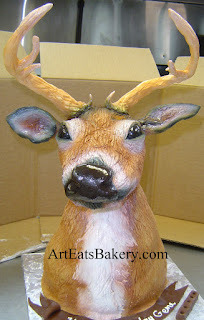 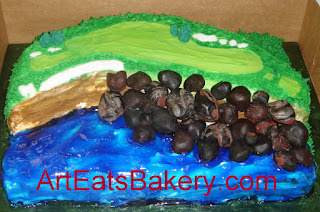 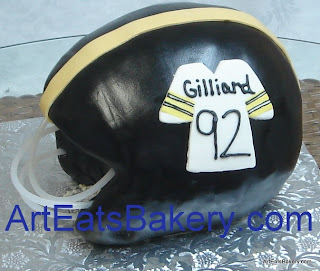 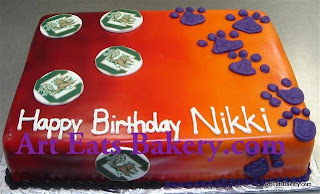 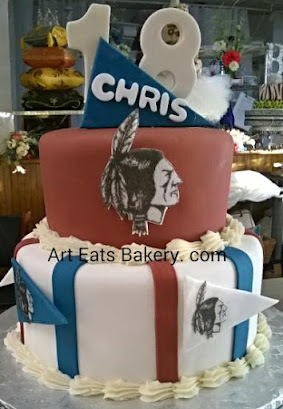 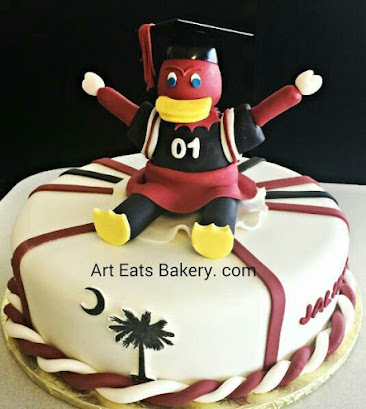 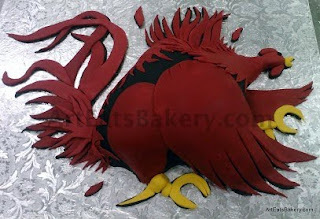 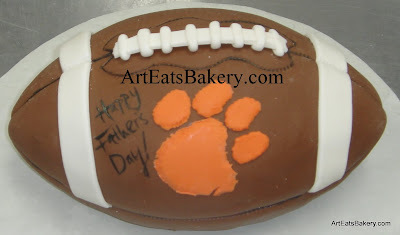 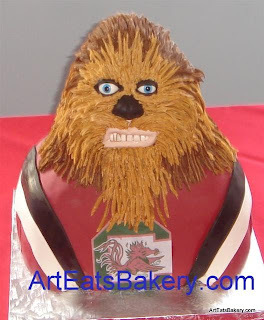 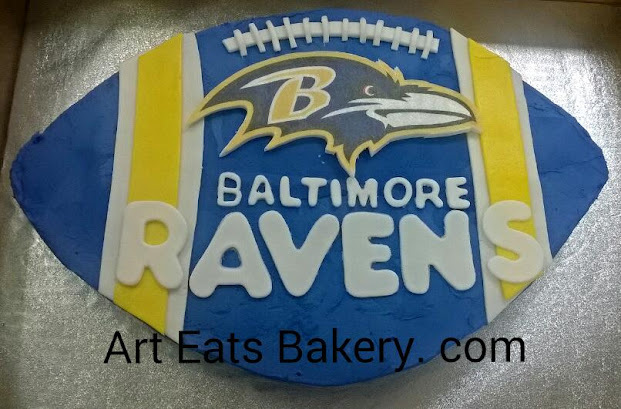 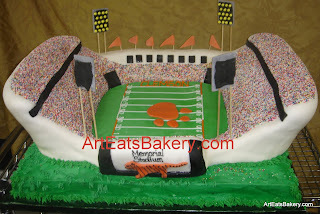 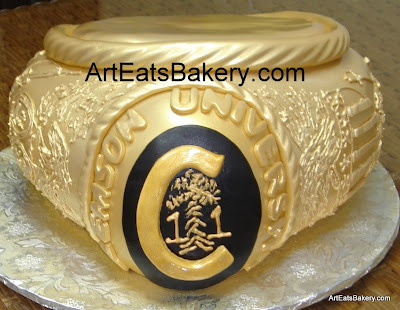 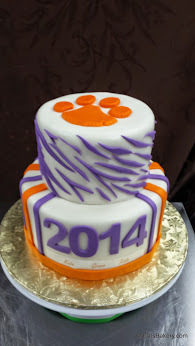 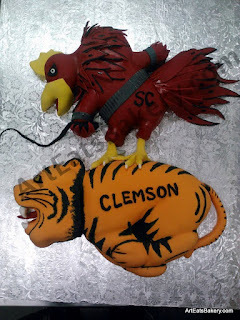 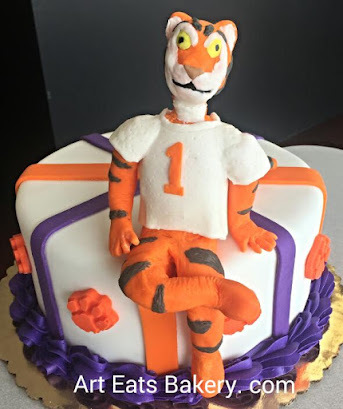 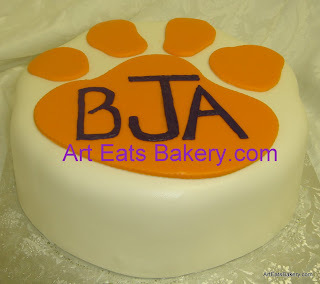 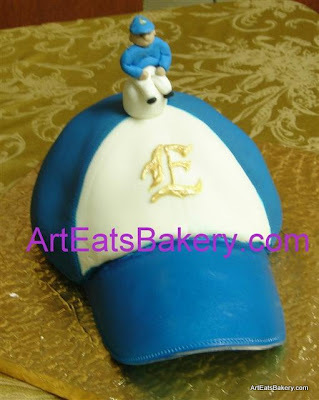 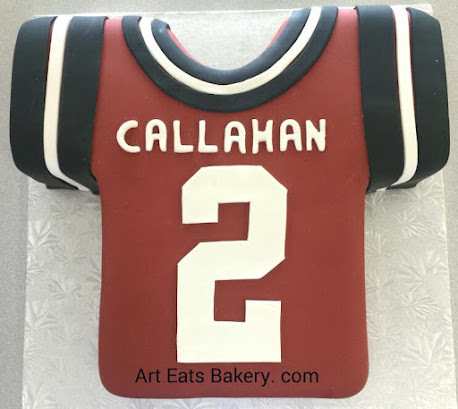 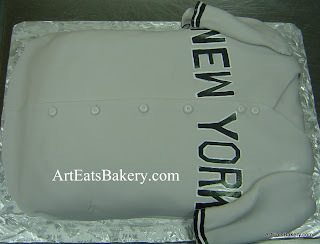 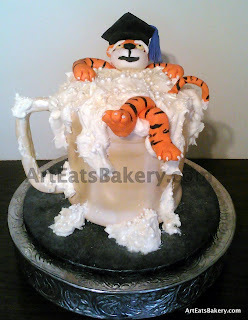 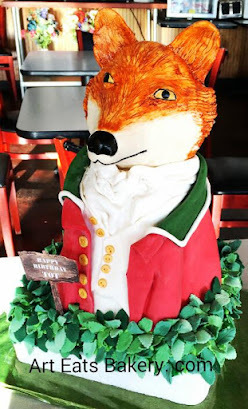 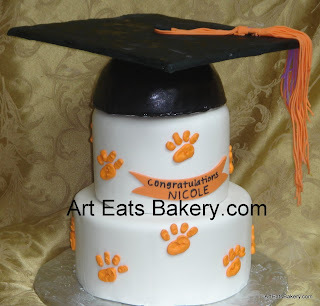 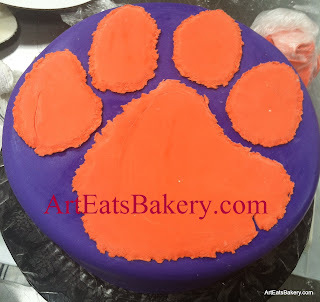 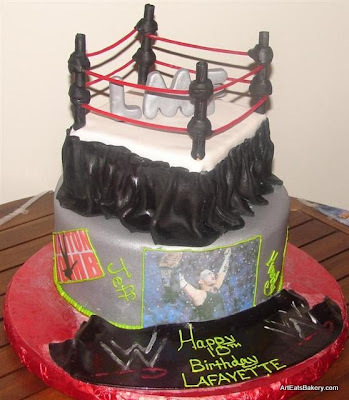 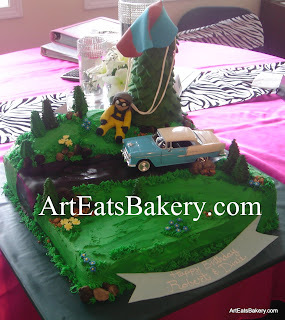 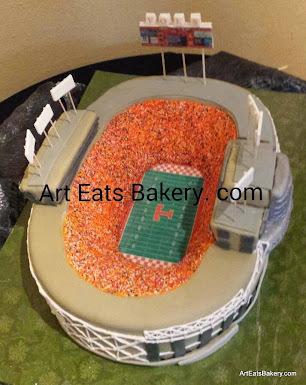 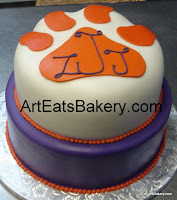 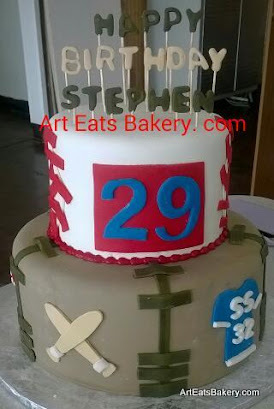 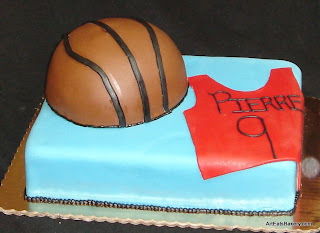 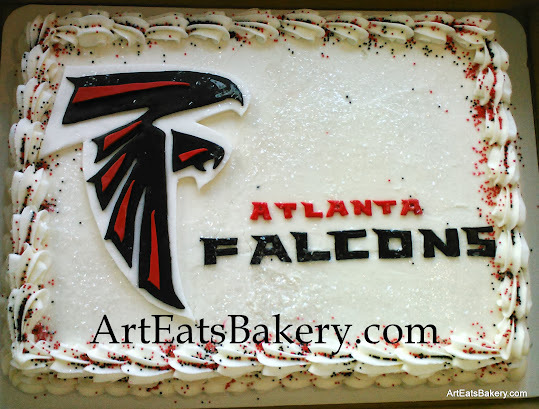 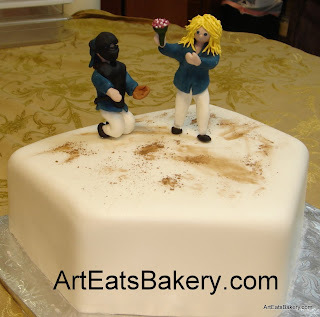 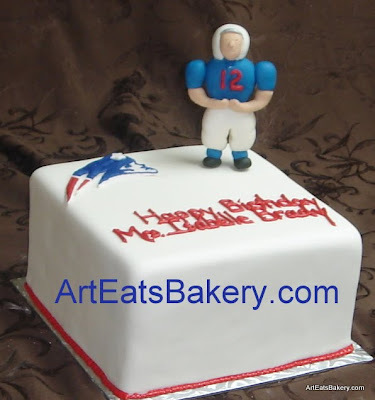 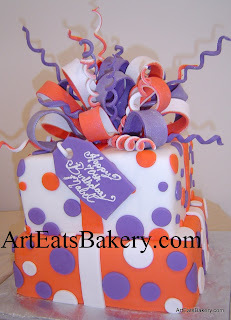 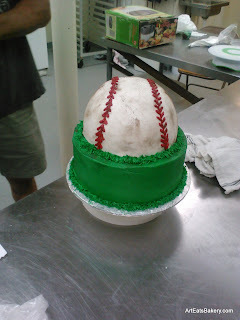 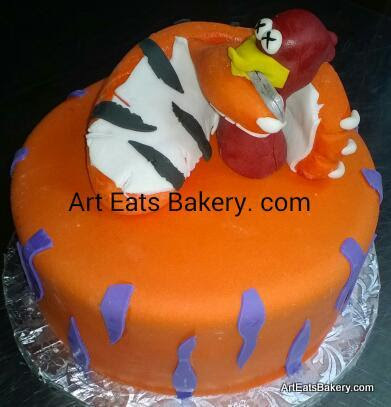 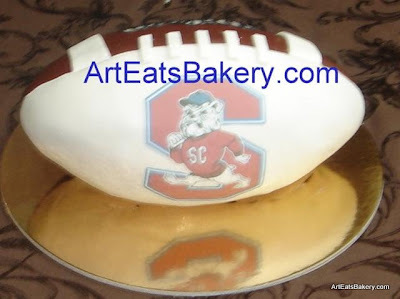 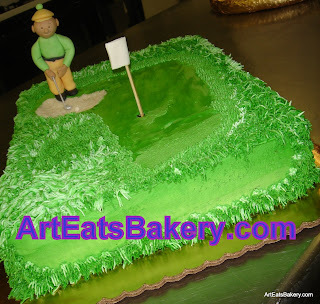 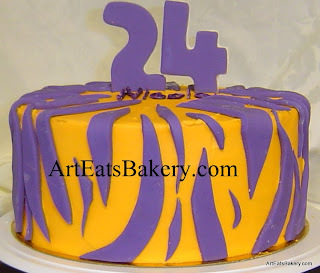 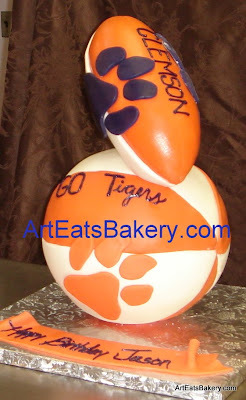 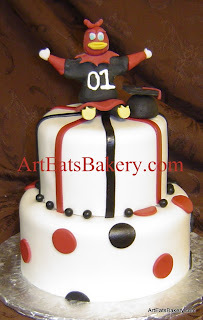 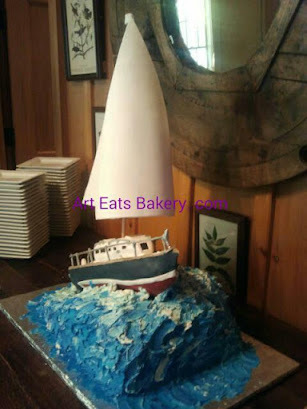 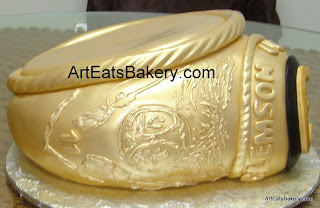 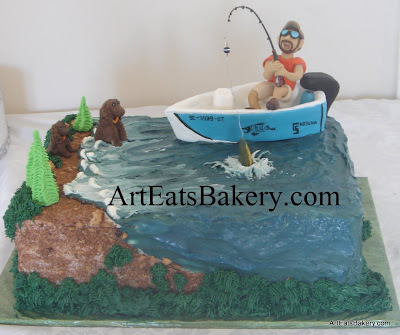 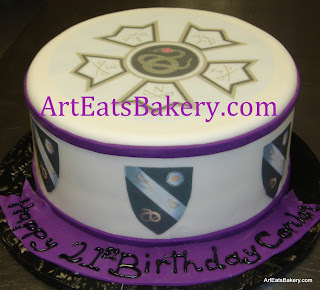 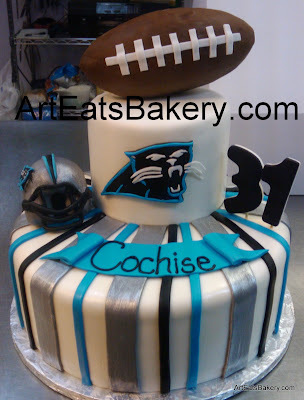 Art Eats Bakery can do ANY kind of cake you want, here are a few great Sports, college & University ideas. 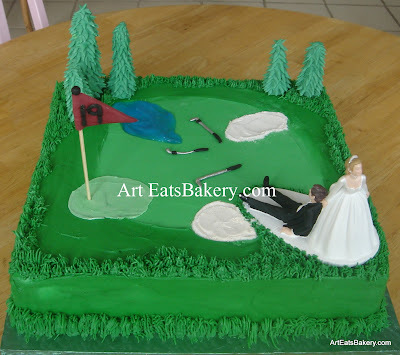 3D fondant wood pool table groom's cake with fondant stripes, solids, pool balls and rack.